For those looking for romantic getaway, look no further. 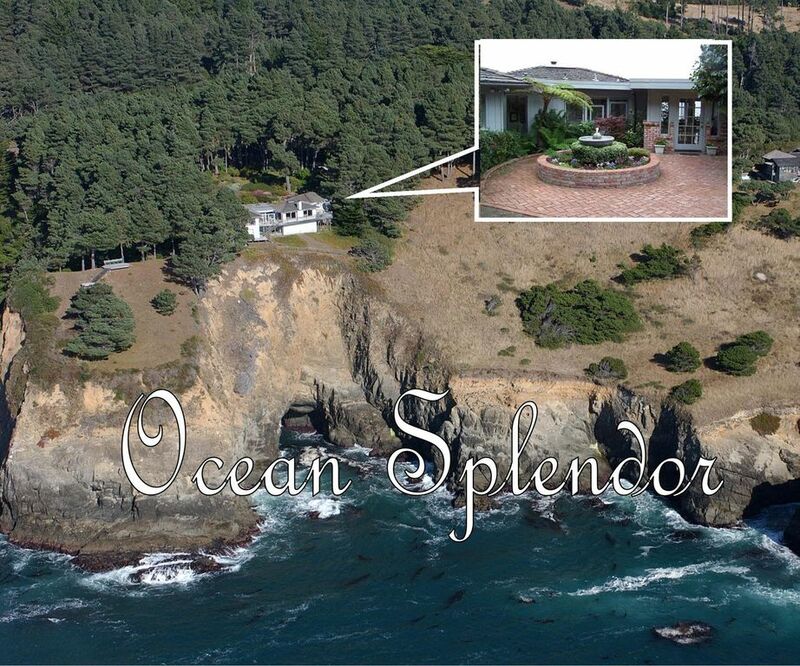 One of the finest rentals on the Mendocino Coast, Ocean Splendor has a magic to it that has to be seen to be believed. Every detail beckons its guests to get cozy and forget about the world outside, from it's secluded and private setting, well manicured garden and majestic views of the Pacific to well appointed amenities including a hot tub on the deck overlooking the sea, an inside spa tub for two, two fireplaces, full modern kitchen and more. Curl up in the sun on one of the many windows seats that look out to the immediate and towering ocean view afforded to you, stretch out in the spacious living room,enjoy your favorite music on the Bose soundlink bluetooth speakers, toast your champagne from the deck or take a relaxing soak. Whatever you need for your dream vacation for two, Ocean Splendor has it and more. To see all photos and details visit our website. No pets or children allowed. Ocean Splendor was everything we had hoped for in a vacation home on the coast. We had visited several times before in another vacation home and decided to make a change. So happy we did! The management team did an outstanding job preparing the home for our arrival and followed up throughout our stay making sure our needs were met. Beautiful home and views, we would return. This is our fourth or fifth time staying at Ocean Splendor and we have always had a great experience. The house is beautifully furnished and outfitted and the views of the ocean...well, they're breathtaking. Ocean Splendor - We have been to many vacation rentals. Ocean Splendor is the most beautiful, peaceful, comfortable of them all. This is our favorite place to stay on the north coast. We have stayed at dozens of rental homes on the coast and we keep coming back here. breathtaking views from everywhere in the house. fully stocked and fabulously appointed. We loved Ocean Splendor! Great escape ... peaceful...beautiful. The weekend was everything we'd hoped it would be! We had our honeymoon @ Ocean Splendor 10 years ago and have been coming back every year, but stayed at different property by Mendocino Preferred. This 10 year comeback was soooo special to us, as well as much pleasant. With exception of couple of small things like light bulb, no coffee to brew (empty container in the refrigerator, we are used to having it available for us by the company, otherwise we would of come prepared)and garbage disposal confusion (it states to take it out by the fence and note by the fence says that cans are in the garage, but garage is not accessible to renters), ALL went well. Jacuzzi got updated from 10 years ago. No noise at night and so easy to use. Thank you! We would surely come back not in another 10 years, but as my husband said, next year.